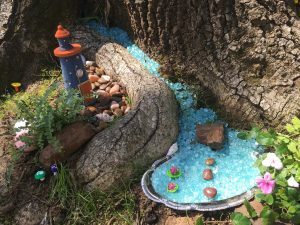 I have spent the last several weeks building miniatures for the first ever Faerie Garden contest in the crown jewel of Palestine, the Davey Dogwood Park. From mini farmer’s markets to mini sweet shops and houses, almost everything in this scene is organic and biodegradable. 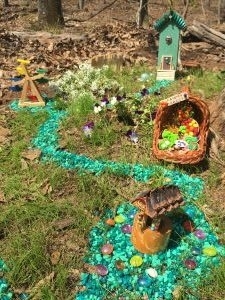 As soon as I knew which plot in the forest was mine, I put out rye seeds to grow real green grass in a short time. I did some landscaping and installed real plants and flowers for a splash of color. I browsed through resale shops for old wooden birdhouses and covered them in colored sand which I pilfered from the kids’ art box. (Don’t worry, I’ll replace it). 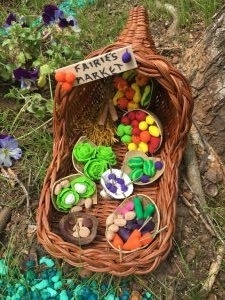 All the veggies, sweets and mushrooms are made out of baking clay. Roofing materials include pine cone shingles and pine straw thatch. 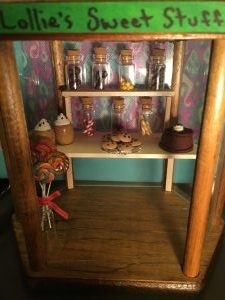 I had so much fun making these structures for this project. I can’t wait to do it again next year! You can find the story of the Loblollies below. 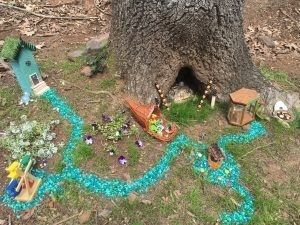 Welcome to the quaint village of the Loblollies, more commonly known as “Pine Fairies”. The Loblollies migrated from another dimension to the area known as “Palestine” about 460 years ago. With them, they brought the first pine seeds in the cones that they wear as crash helmets. It is a little known fact that this is how the Loblolly Pine trees that grow in this area got their name. 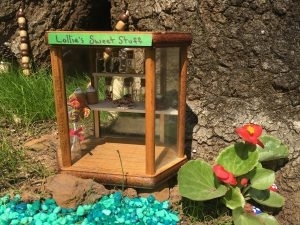 I have been observing this species of faerie for nine years now, and documenting my research. This is what I’ve found: The Loblollies are about 70% friendly and 30% mischievous. They love a good laugh and are often playing practical jokes on one another or slyly tying each others wings together and disappearing behind a hedge. They have a fondness for “borrowing” things that are laying around; especially shiny things, as their interdimensional stargate is powered by shimmer. If you’ve ever found yourself missing an earring, a bracelet or a shiny vase or candlestick, it is certainly a possibility that the Loblollies in charge of accruing fuel for shine power have “borrowed” it for their quantum leap. Of course they have every intention of returning the item, but you know how busy a faerie’s life can be. There’s a saying that goes “Every time a bell rings a faerie gets their wings.” I have field tested this hypothesis and it is in part true. This particular specie is oviparous, and much like caterpillars, the Loblollie babies are wingless when they hatch. A little jingle from the “birthing bell” and iridescent green wings begin to emerge. Once a Loblollie reaches maturity, these baby wings are shed and the adult faeries remain wingless until (usually) a human nearby jingles a bell. Although the adult Loblolly diet includes garden vegetables and all things sweet, baby Loblollies are fed a regimen of Dogwood pollen and honey; presumably why they chose to settle here in this area. Every Spring, the village elders enchant the Dogwood trees to blossom for the year’s harvest. During my years of observation, I have begun to understand the language of the Loblollies. Text, which they usually write with their feet dipped in berry paste, resembles Sumerian cuneiform, but spoken dialect is a melodious composition of whistles, clicks, buzzes, and wurbles not resembling any Earthly language. Incidentally, their words for “human” most commonly resembles our words for “bell-ringing blimp”. 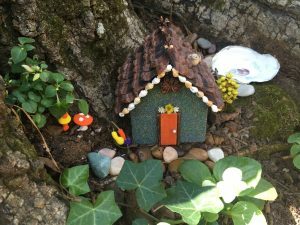 The Loblolly village is usually veiled in an invisibility cloud, but they have agreed to temporarily put their township on display for this year’s Dogwood trails event and [fairy] garden walk. The Loblollies went a step further and even included signs in English (with translation help from me). 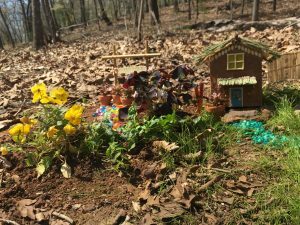 They were surprised and delighted to see other [fairy] gardens popping up around the forest and have made many new friends along the path. There is still much to learn about these impish little creatures, but as long as the Dogwoods bloom, we can be sure that the Loblollies are still with us. I am busy everyday learning about the world around me and how I can protect the environment. I can’t do this alone. I need you and your friends to help! 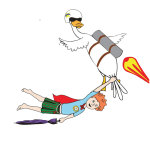 A great addition to your child’s bookshelf, a classroom and we offer bulk discounts. I would love to get to know you. Like our Facebook page and keep an eye out for events, book signings, great activities and more! Join our mailing list and learn about Daniel's events, book signings, readings and more. 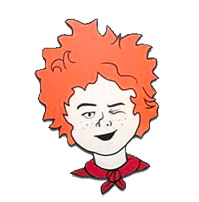 We will also occasionally share with you activities & ideas for the Environmental Superhero in your life.